1-3/8" wide Belt Strap. Stitched Buckle and Matching Keeper. 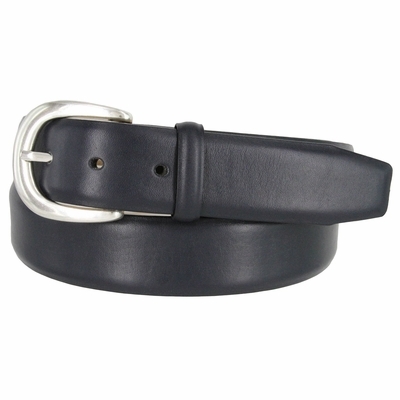 Smooth Leather Belt with Polished Silver Buckle.